Here is a project I have been working on for a few months, with hundreds of hours on it. here is a 100% danmaku shoot. 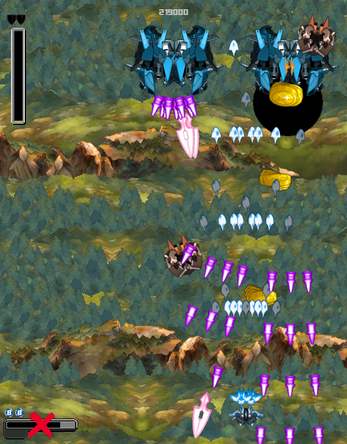 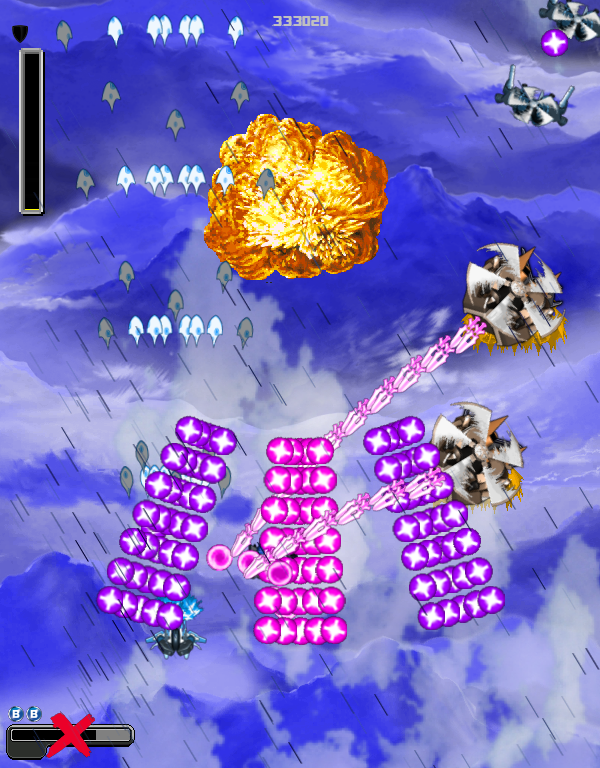 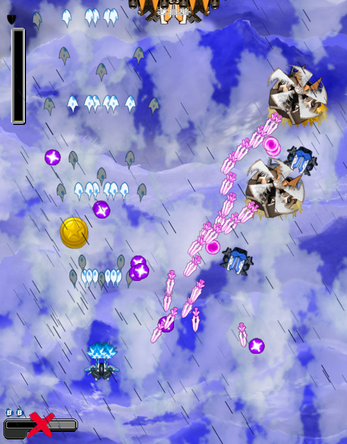 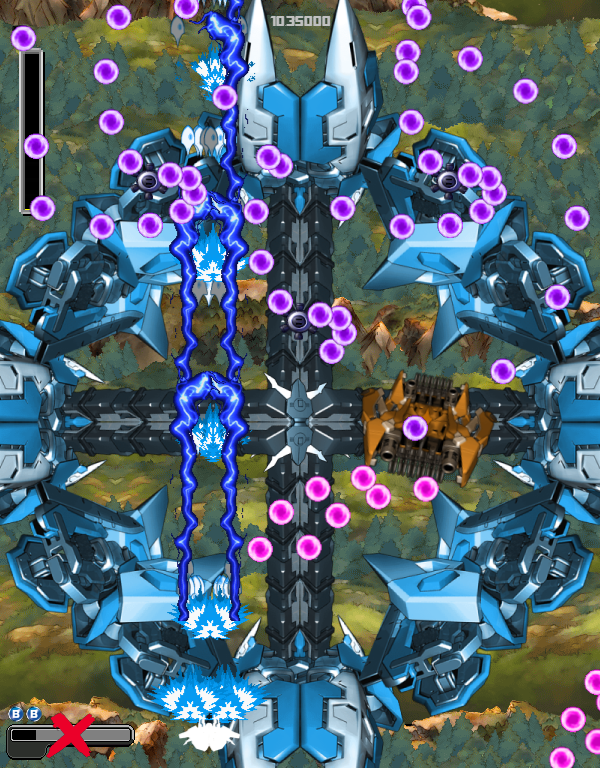 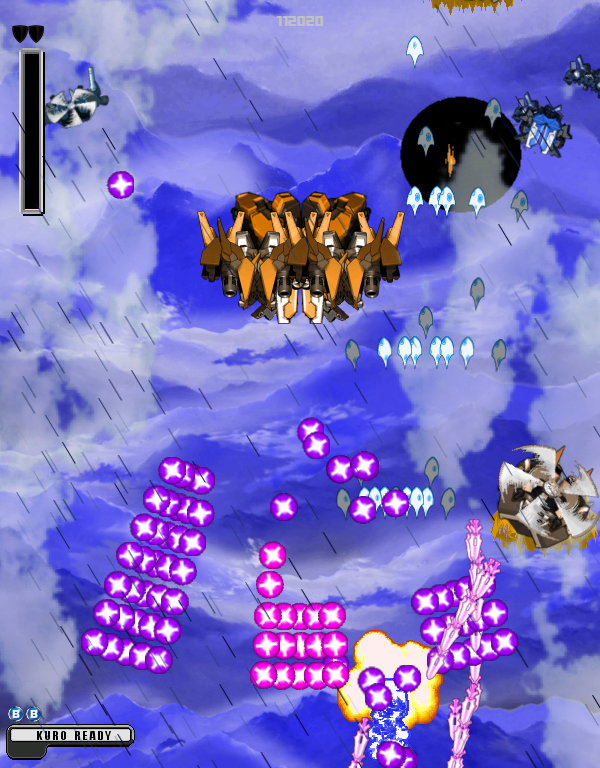 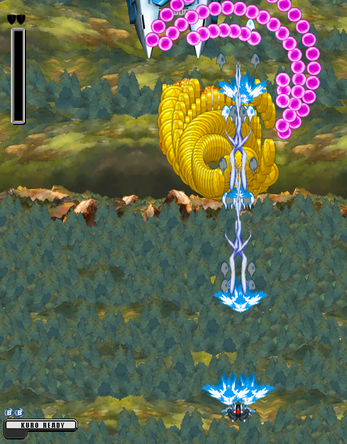 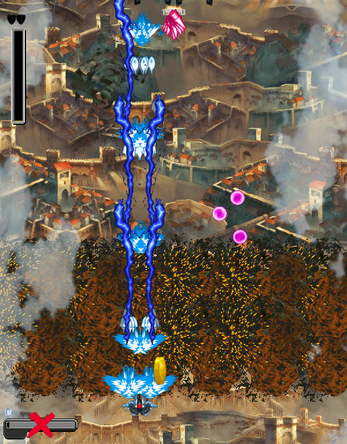 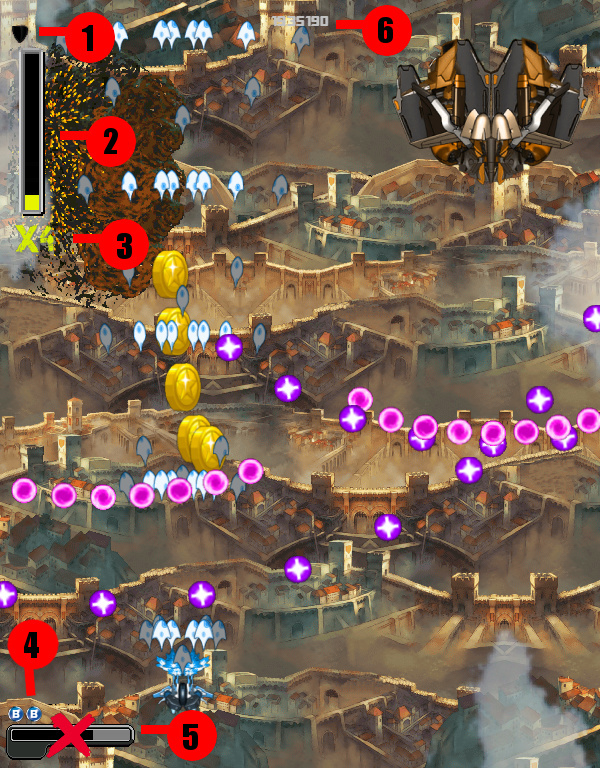 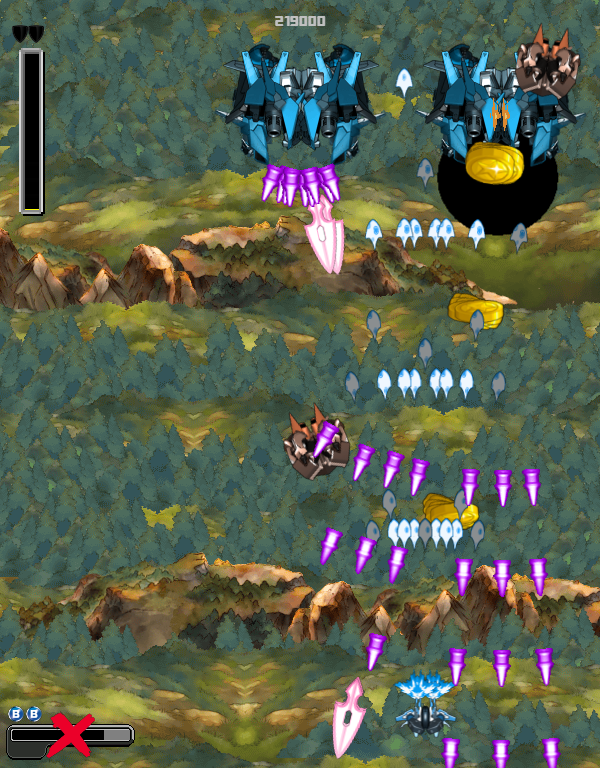 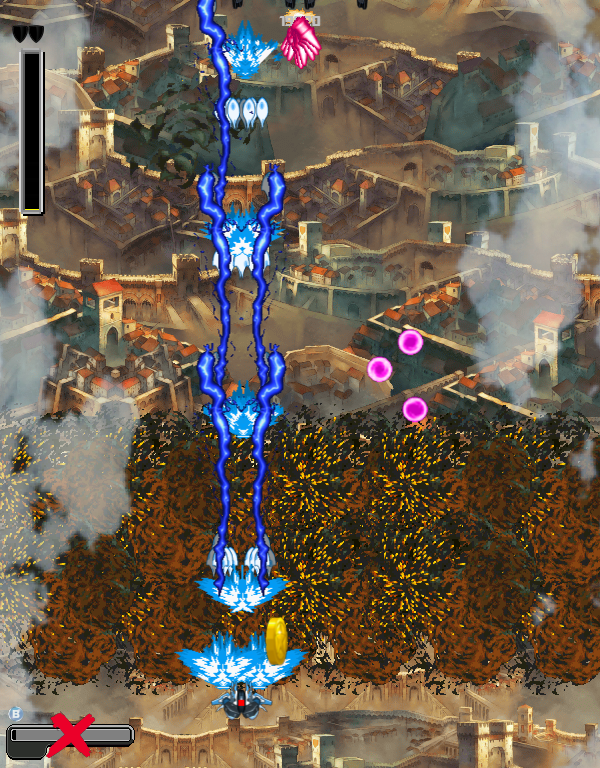 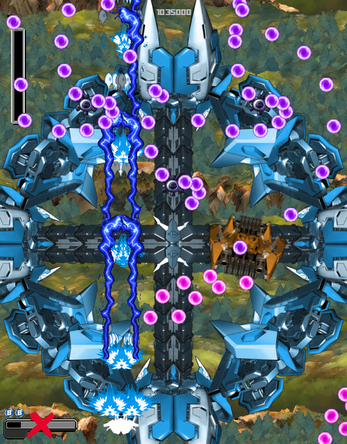 So basically to score, it is necessary to wait until the gauge of the shield is at the max and to launch the shield, the ship is invincible during a little time during which it is necessary to absorb the enemy bullets to transform them in coins which will make climb the gauge of the score multiplier, these black coins are egals to 100pts only. 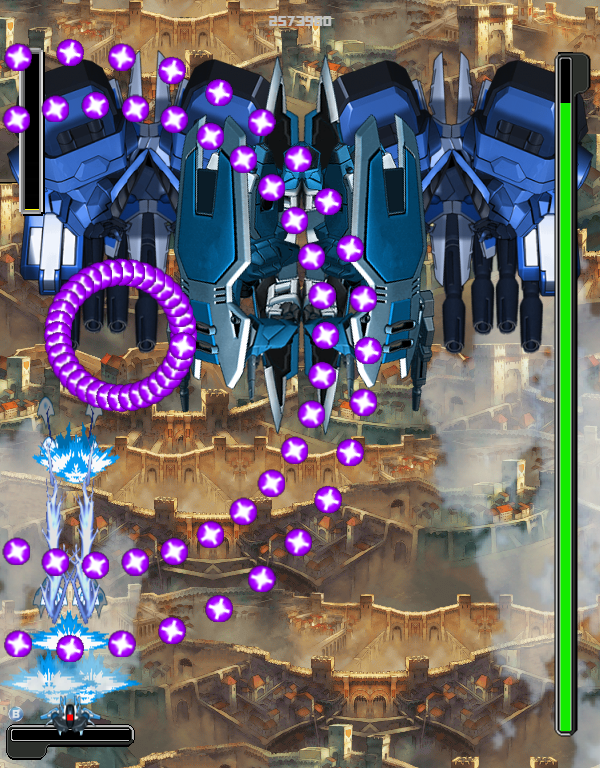 Then, in normal mode, when a ship explodes, if its explosion touches bullets, these bullets are transformed into coins which will be worth 1000 points at the base, multiplied by the current mutiplier (thus 1000 if empty multiplier up to 20000 if at max). 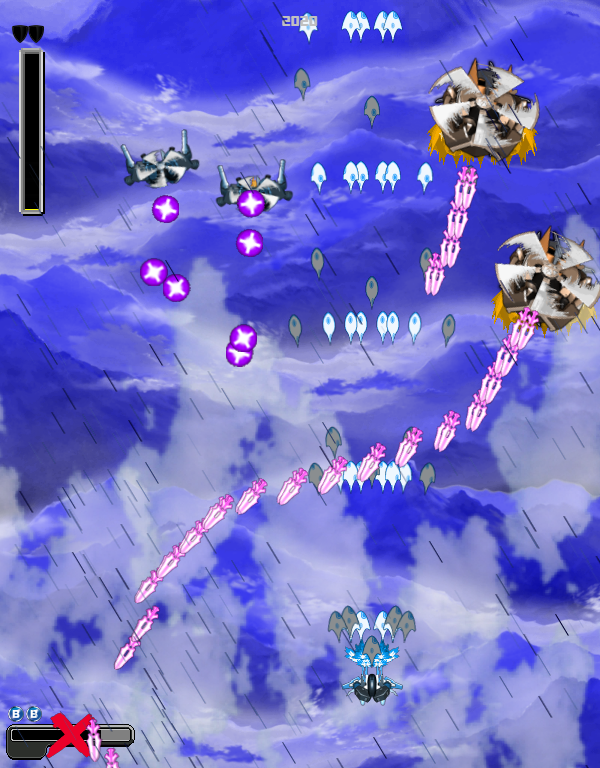 For this demo I made the music from beginning to end (I'm primarily a musician), the FX are drawn (and sometimes modified) from games like Metal slug, r type final, etc ...the ships are actually gundam party assemblies (z generation for example), I have had for dozens of hours. 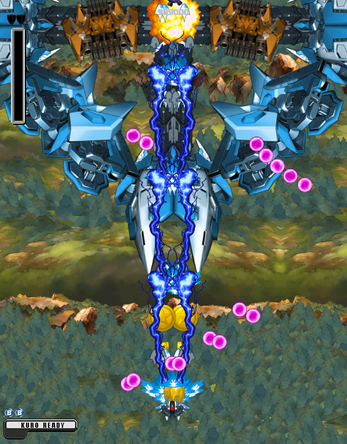 For the explosions it's still slightly modified from metal slug, dodonpachi for dumplings, sonic, dragon ball, there's everything but very often changed! 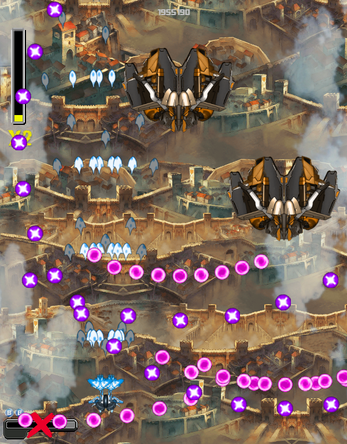 Final game will be free ! 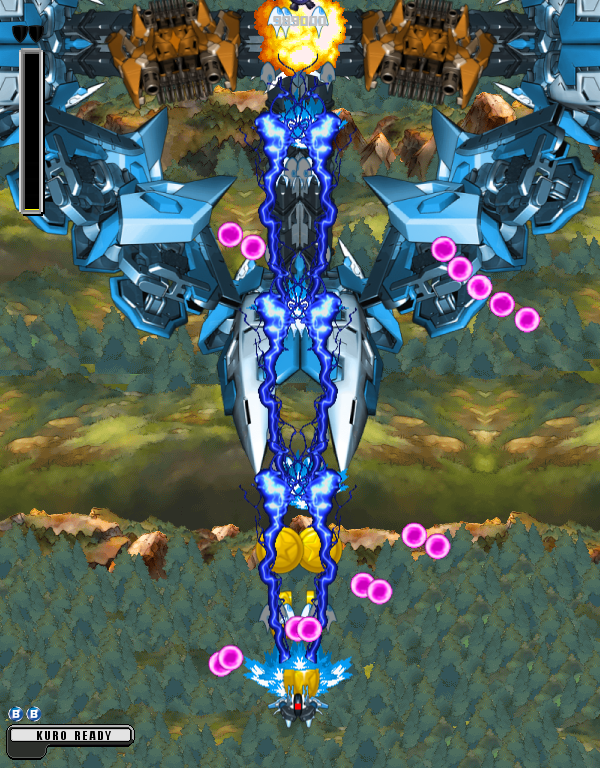 hey i love the art style!